In 2010, I submitted a piece titled "Awaken" to Lilly Oncology on Canvas. This piece depicted the pain, anguish and fight through my cancer journey. 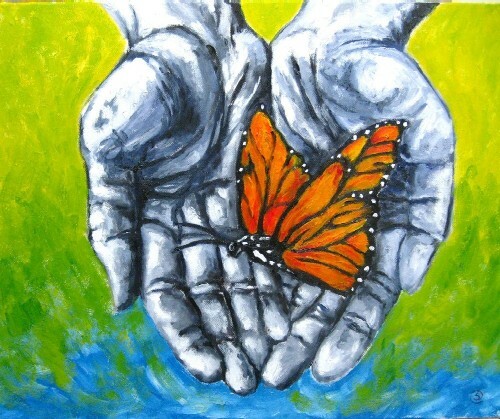 The gray hands represent the cancer and the butterfly represents the chrysalis of a cancer journey and how one can find the beauty and strength and freedom at the end of the journey.